I won a Raspberry Pi for getting 3rd place in the Open 7400 Logic Competition, of which HubCityLabs donated the Raspberry Pi. My initial project idea for it was to set up a wall mounted weather station. For the time being I thought I'd mess around with it and get somehwhat familiar on what I'm dealing with. I downloaded the Rasbian image and wrote it to an SD card. It's recommended that the SD card is a minimum of class 4. Everything is supported 'out of the box' with Rasbian so there's no fiddling around. 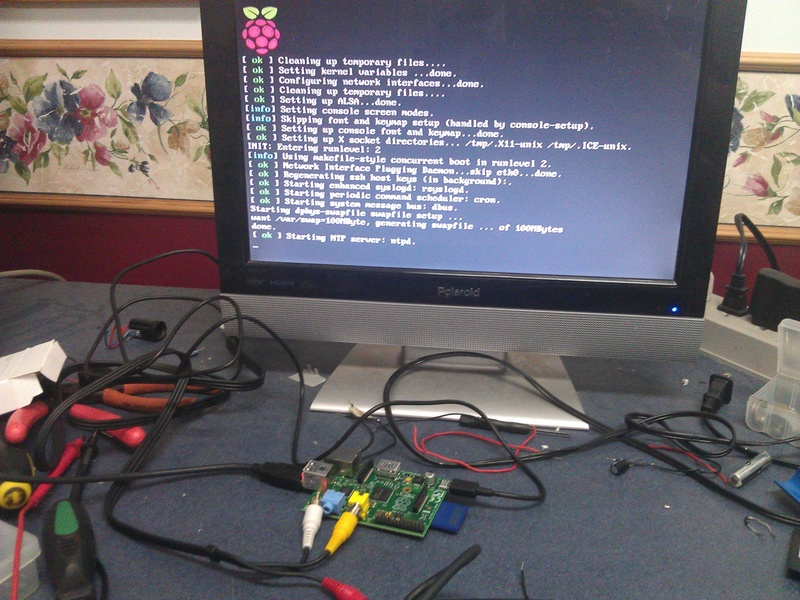 After purchasing a HDMI cable and connecting it to the Pi, it still output video via the RCA jack instead. 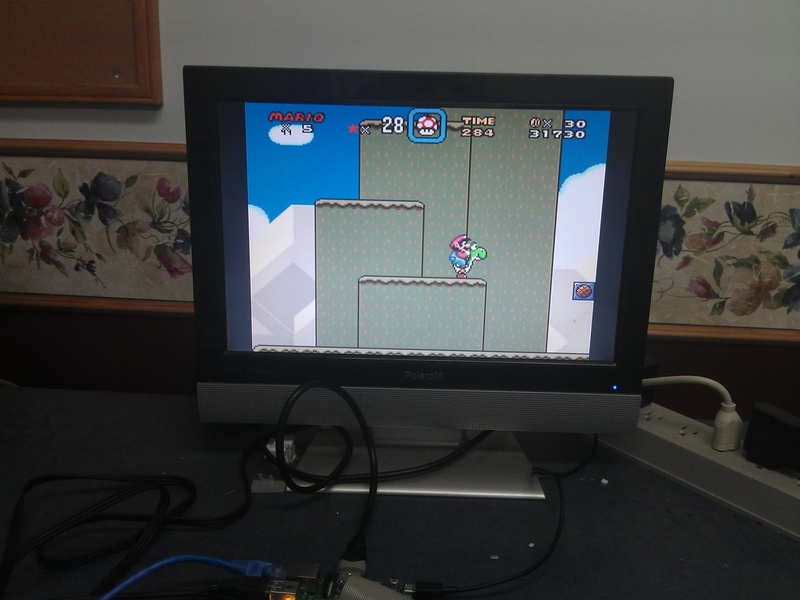 I opened up /boot/config.txt and set hdmi_safe=1 and voila, HDMI worked! To explain, it uses the RetroArch emulator and the pocketsnes library. I don't have a gamepade of any sort, so I just used the keyboard. The letters on the keyboard correspond to the controller (X is X on the controller, A is A, etc...). I had the GPU set to 128MB and it seemed to run fine. I overclocked it another 100Mhz just to see any performance gains, but I didn't notice any and it ran about 5 degrees hotter than stock. To get an NES/SNES controller working with it, check out the next post.